When a dog named Hank navigated 11 miles home over two daysto his foster owner in Memphis, TN, recently, it had many of us thinking, “Awww, isn’t that sweet,” and marveling anew at the navigational powers of pets. How do these animals—without maps, GPS monitors, or the ability to ask for directions—find their way home? Hank is hardly a fluke, either. In 2013, a cat traversed 200 miles over two months to reach its old stomping grounds. Meanwhile, seabirds and tortoises travel entire hemispheres when they migrate to the same old nesting areas season after season. As for how they do it, it depends on the species. Cats, for instance, rely on magnetic fields, orienting themselves along the Earth’s north-south poles much like a compass, according to scientists interviewed by Time magazine. Meanwhile, dogs lean heavily on their sense of smell. Had Hank walked those 11 miles, he could have just followed his scent trail home, Bonnie Beaver, executive director of the American College of Veterinary Behaviorists, told Time. 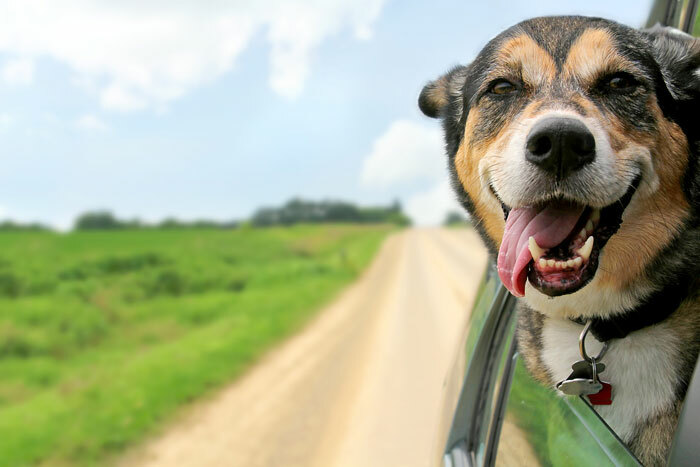 Or, if a dog were taken by car, as Hank was, it might rely on overlapping circles of familiar scents. Does that mean you need to make a Costco run for loads of air fresheners? Not so much. The pup might pick up a whiff of a dog it knows, which leads it to a well-known tree or trash can. While the power of pets to return to their owners’ arms may be astonishing, scientists point out that we shouldn’t overestimate their abilities, either. Dogs like Hank make the news; hundreds more don’t because, well, they stay lost. In other words, pet owners should continue doing what they can to keep their furry friends from wandering off. That means keeping your cats indoors, installing sturdy fences for dogs, and outfitting all animals with a collar and ID tag. Even high-tech pet microchips will run you only $25 to $50, and could be worth the peace of mind of knowing that these four-legged members of the family have a built-in ID. Because after all, even if Fido or Fluffy can find their way home, why not make it a little easier on them?